Trace each child’s hand. 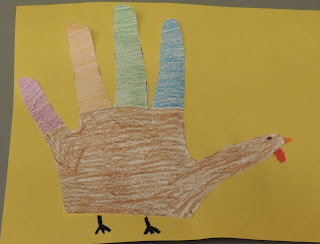 Then allow them to color them, cut them out, and then glue them to a piece of construction paper. 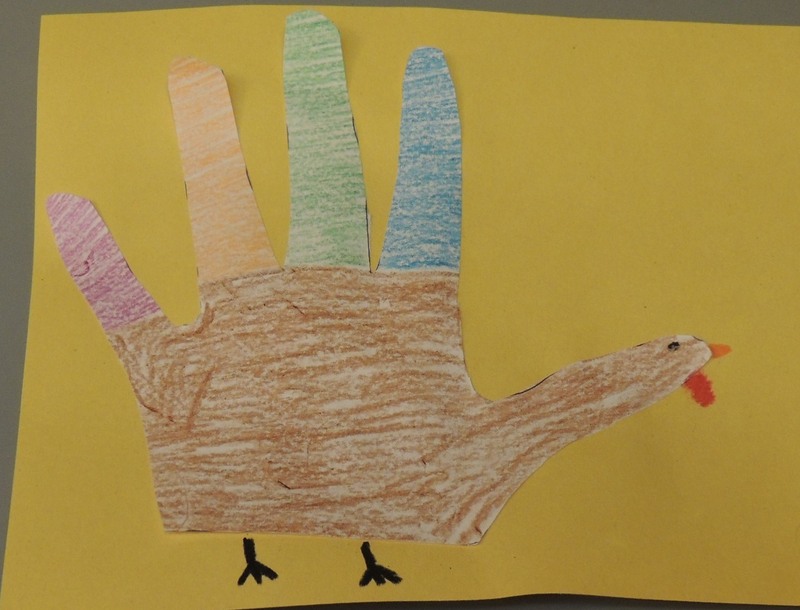 These can be used to make Thanksgiving cards.